Grab this set of Christmas Characters for your kids this Christmas! 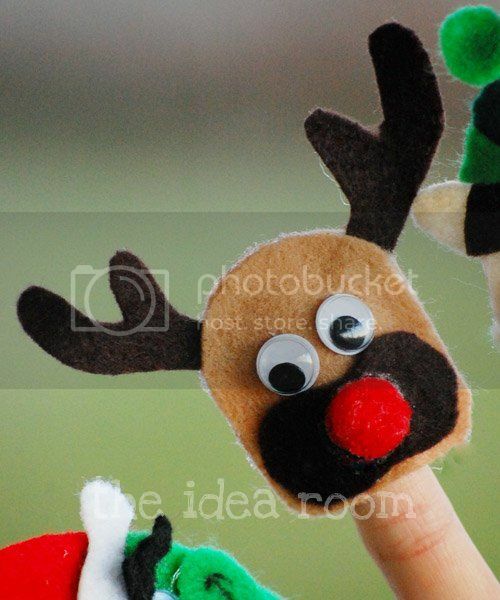 These Christmas finger puppets are the perfect gift! 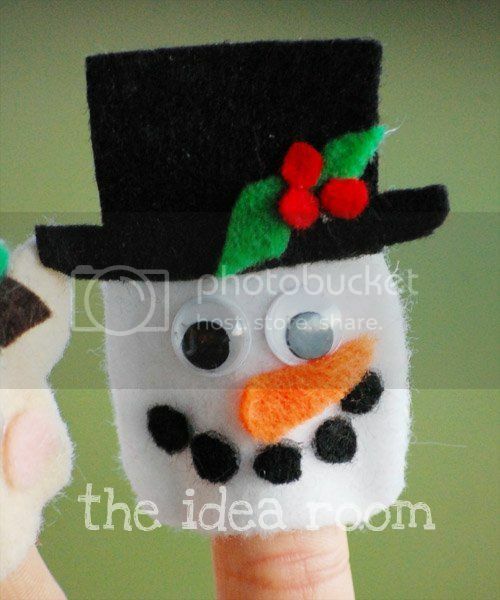 Download the finger puppet patterns and create some with your kids! Today I am happy to be able to share with you some simple and fun Christmas Crafts for kids…and well…anyone! Yesterday was a bad day! Nothing too serious, but I was all to happy to crawl into bed last night and end that very long, no good, very bad day. You guys know the kind I am talking about right? Long story short…Post Office, stubbed my toe (the same toe every.stinking.time), had to unpick and redo a sewing project, spilled soup inside my sparkling clean fridge and on newly mopped floors…but perhaps the worst was when I dropped my camera and BUSTED my favorite lens…BOO! I know things could be much worse and these are just trivial things, but do you ever sometimes want to crawl back in bed and just check out for a little while? Now I feel much better and ready to face a new day. 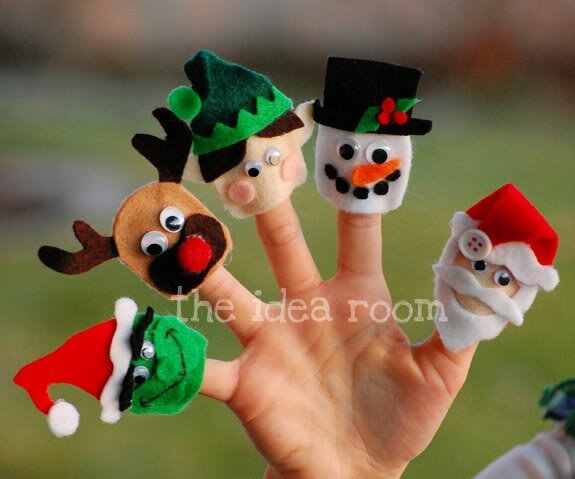 Anyways…just had to share…on a much happier note…I have something fun to share with you…Christmas Finger Puppets. As you know, I have a hard time sitting still and watching tv or a movie without keeping my hands busy. Drives my family crazy sometimes. So, the other night, while the family was watching Shrek 4 (which we loved), I whipped up these little guys. These would be fun little gift for the little kids in your life. Or to go along with some of your favorite Christmas books or movies. They are pretty quick to make and all you need are a few scraps of felt, hot glue and google eyes, and you are on your way. Are you interested in making some of your own? 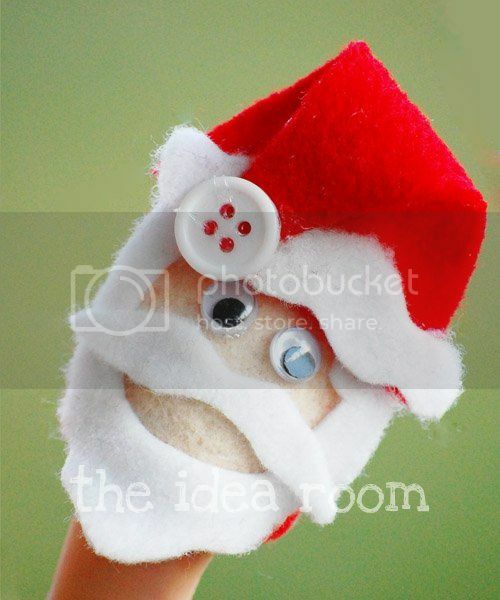 Or do you want to re-create the Christmas finger puppets I made using my printable finger puppet patterns? Adorable!! And I am the same way about watching TV or a movie. It drives my hubby nuts that I can't just sit there. Sorry about your yucky day! I had one like that this week. Boo. wow. rough day! hopefully today will be much much better! love the finger puppets. thanks for sharing. i will totally be doing those with my little girl! Sorry about the no good day. 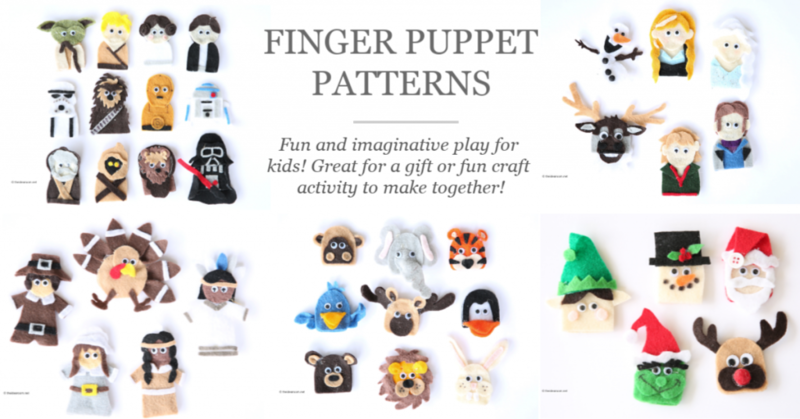 Love the fingerpuppets – thanks for the printable! Sorry about your rough day, sounds like my day on Saturday. Hopefully today will be amazing to make up for it! 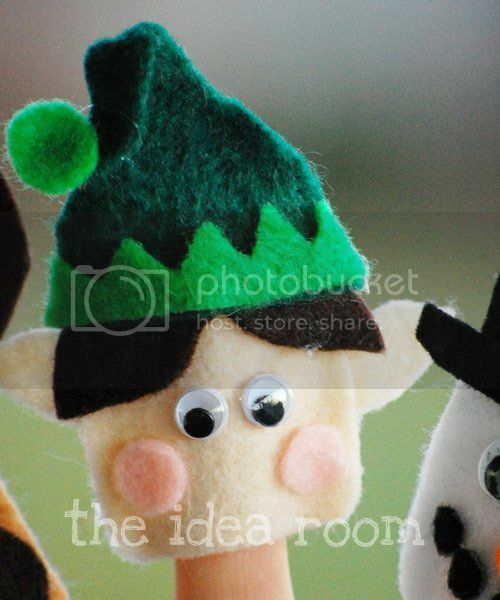 And I love the puppets, they are darling! thank you!!!!!!!! I love these! I bought your other pattern recently (haven't made them yet because Christmas is keeping us busy), but I love them and can't wait! I definitley have those days too… Everyone does! And I am also one who "works" while watching tv… Drives my fiance nuts. Haha! So very cute! 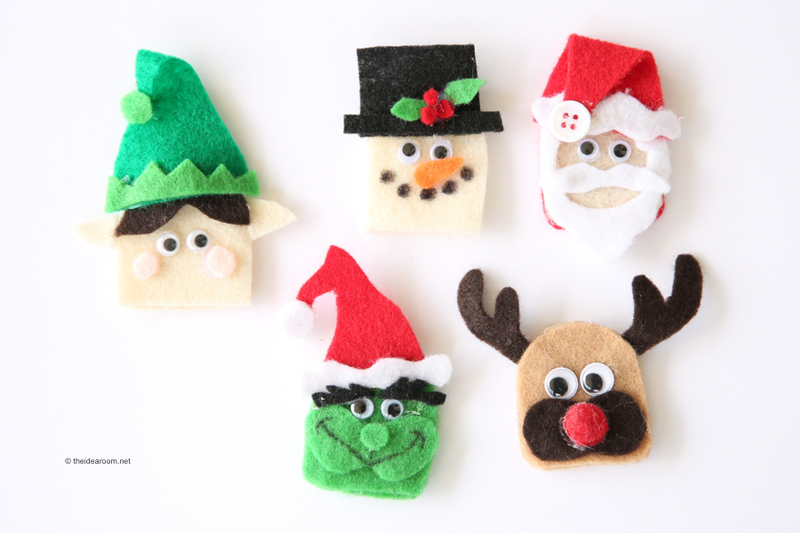 Thank you for sharing the pattern…these will become stocking stuffers for my little ones! I hope today is going better for you! Sorry about your crappy day (year, right?!) And hopefully your toe isn't broken. Sounds funny but my husband actually broke his toe just by stubbing it! He didn't know it was broken for several months and ended up needing surgery and pins and stuff. Anyway, I'm seriously so sad about your camera, gives you the sinking feeling in your stomach. Hope you have a better day soon and ps these puppets are super cute! Thanks! These are so, so cute. But when I go to download the patterns it says Forbidden. Am I doing something wrong? Thanks again for sharing! Hi there, I am not able to get the download for some reason…is there any way you can email it to me? how the do u mack em?? These are darling. Thanks for sharing.